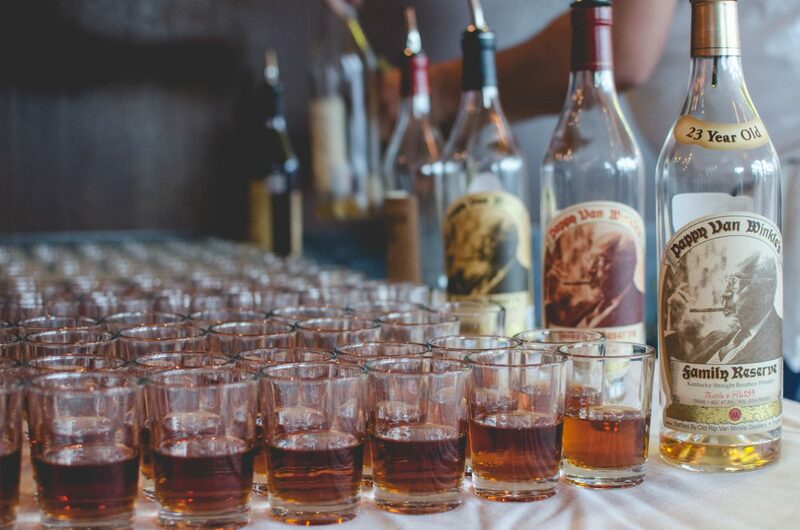 There will be plenty of Pappy on hand at Eight Row Flint. Photo by Carla Gomez. 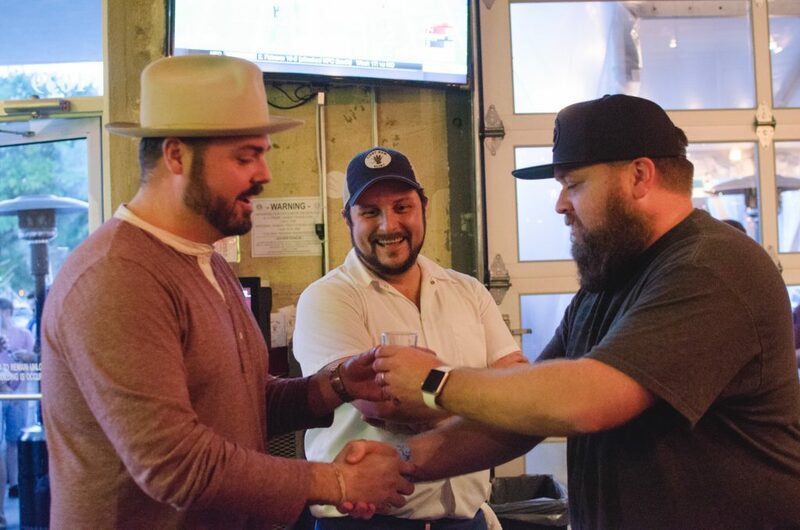 Some say that Christmas comes early, but the real present for bourbon drinkers arrives on December 26 when Eight Row Flint at 1039 Yale sells its entire Pappy Van Winkle allocation at cost for the second year in a row. There are also specials on the Buffalo Trace Antique Collection. Prices start at $6 for the 10 year Old Rip Van Winkle and range up to $30 for the 23 year selection. Some other drinks and spirits will be on special as well, including the proprietary barrels on the back bar. Pappy Van Winkle Bourbon has been pleasing palates for more than 100 years. Julian “Pappy” Van Winkle Sr. was a traveling whiskey salesman for W.L. Weller who learned the business and set out to make a bourbon which met his high standards. Pappy’s mantra was “We make fine bourbon at a profit if we can, at a loss if we must, but always fine bourbon.” Buffalo Trace now owns Weller and makes the bourbon with the original Pappy recipe, but great-grandson Preston Van Winkle continues to lead the charge. Morgan Weber passes out the Pappy. Photo by Carla Gomez. What makes Pappy Van Winkle so special? Besides having its long and successful history, Pappy is highly awarded. The 20 Year Old Family Reserve won a double gold award at the 2014 San Francisco World Spirits Competition while the Family Reserve 23 Year Old Bourbon was named Spirit of the Year in 2010. It’s also extremely hard to acquire — finding Pappy in your local liquor store is next to impossible. There just isn’t enough produced to meet demand, so even bars and restaurants are held to strict allocations. Retail pricing for the Family Reserve 23 year is generally between $249 and $300, though the secondary market rate sees bottles for sale between $2,100 and $4,000 for a single bottle. Why would Eight Row Flint sell its entire allocation at its cost? Weber says the idea came to him when he was picking up a shipment at a Goody Goody. He overheard a conversation with a bourbon bar owner upset over not receiving an allocation. “How am I supposed to be taken seriously as a bourbon bar if I don’t have Pappy behind my bar at all times?” Weber says it’s “become laughable” at how the obsession with the brand has set in. “Pappy is a great bourbon but at the end of the day, it’s still just bourbon, and everyone should be able to enjoy it,” he said. Don’t forget to eat! 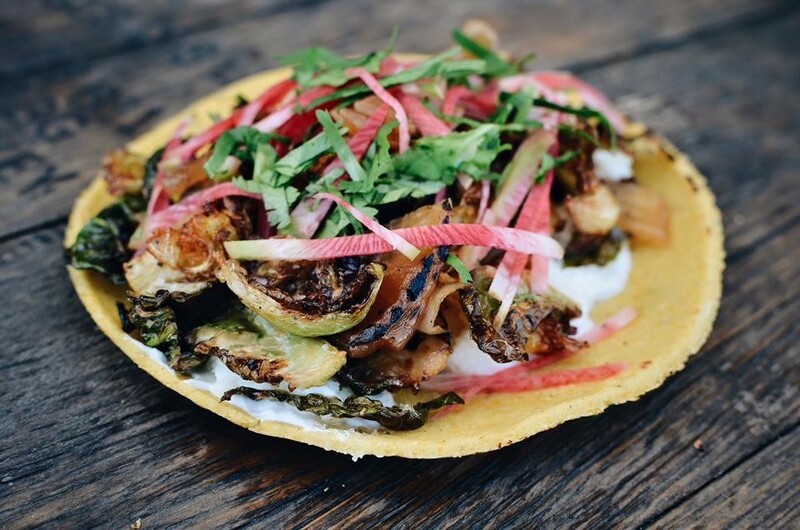 The Brussels Sprout taco is a crowd favorite. Photo courtesy of Eight Row Flint. Weber says that last year’s event was the most fun they’ve had at Eight Row Flint and is excited to be able to make it an annual event. He encourages everyone to “come out, find what you like, and enjoy.” For Weber, after the Pappy runs dry, he enjoys the newest Eight Row Flint Single Barrel pick from Russell’s Reserve. “Bourbon Christmas” might come a day late, but it’s certain to be worth the wait.